TBILISI, DFWatch — What does it take to get a company listed on London Stock Exchange (LSE)? That was one of the questions addressed at a conference in Tbilisi Tuesday, and who better to hear it from than the LSE itself, which organized the event. The goal of the conference was to contribute to attracting foreign investments to Georgia, as well as finances from the stock exchange. Andrew Coxshall, from partner KPMG Georgia said guests at the conference discussed the importance of placing bonds on LSE. He noted this is the first international conference held in Georgia after the parliamentary election. Local and international businesses, government officials and diplomats attended the meeting. Nodar Khaduri, Georgia’s Finance Minister, who was also present at conference, remarked that the meeting will support the development of business in the country. “One thing is clear that we should study to use our opportunities to the fullest extent and start accomplishment to turn opportunities into reality,” he said. The minister said the new government’s goal is to develop the Georgian stock market, in order to attract more investment. The Georgian stock exchange is a mere formality, in fact it is dead. There exists an office for it, but the place has remained empty for years. 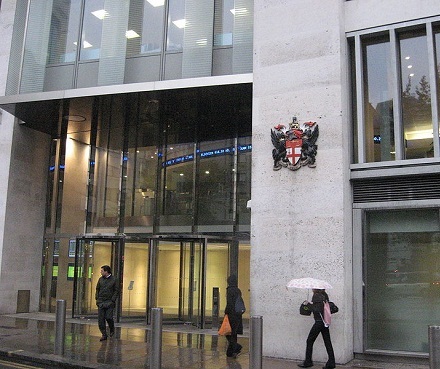 However, some Georgian companies have managed to make it into LSE. Bank of Georgia was first, and earlier in 2012 achieved a listing there. In May, Georgian Oil and Gas Corporation obtained a listing for obligations. There are talks about placing other state companies on LSE, such as Georgian Railway. A spokesperson for the Supervisory Board of Georgian Railway said at Tuesday’s conference that they have secured backing from the Georgian government and partnership fund for placing securities on LSE, but there is no clear strategy for how to do it yet and it is also important to select correct timing for placing securities on a market, which may be at the end of the coming winter, in early 2013. Georgian Railway should have had securities on LSE earlier in 2012, but it was postponed twice because of the crisis in the global financial market.